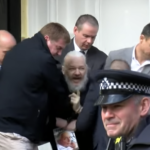 In 2010, the Guardian, like the New York Times and a few other corporate newspapers, briefly partnered with WikiLeaks to publish the contents of thousands of confidential US diplomatic cables, known as Cablegate. The material exposed atrocities perpetrated by the US military, as well as other disgraceful acts—like US diplomats strategizing on how to undermine elected governments out of favor with Washington, spying on official US allies and bullying poor countries into paying wildly exorbitant prices for life-saving drugs. 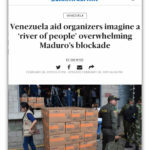 12 Feb 2019 – The Miami Herald (2/8/19) reported, “Venezuelan leader Nicolás Maduro continues to reject international aid.”“ The “Venezuelan leader” is Venezuela’s elected president. 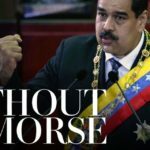 In contrast, it referred to Juan Guaidó as Venezuela’s “interim president.” Calling for international aid and being democratically elected will do as little to protect Maduro’s government from US aggression as being disarmed of WMD did to prevent Iraq from being invaded—unless there is much more pushback from the US public against a lethal propaganda system. 23 Aug 2018 – I examined 45 Reuters news articles about the uprising in Nicaragua since April 18, which are widely reprinted throughout English-language Western media as portrayed by corporate journalism. The story conveyed by Reuters is that the Sandinista government is opposed to democracy and human rights in Nicaragua, while the US government supports these things. 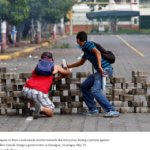 But a closer look at the picture reveals numerous distortions about Nicaragua’s past and present. On the anniversary of the Cuban Revolution, why has the small Caribbean nation outperformed many capitalist democracies in key ways despite fifty years of blockade, attacks, sanctions, injustices? Save the Children gave Tony Blair, a man who contributed massively to the deaths of hundreds of thousands of Iraqis during the decade he was the UK prime minister, a “global legacy award.” How can this charity get away with doing something so monstrous? The reason is simple: money.